How about a bright and cheerful card for you today? This card was constructed with products from My Favorite Things. 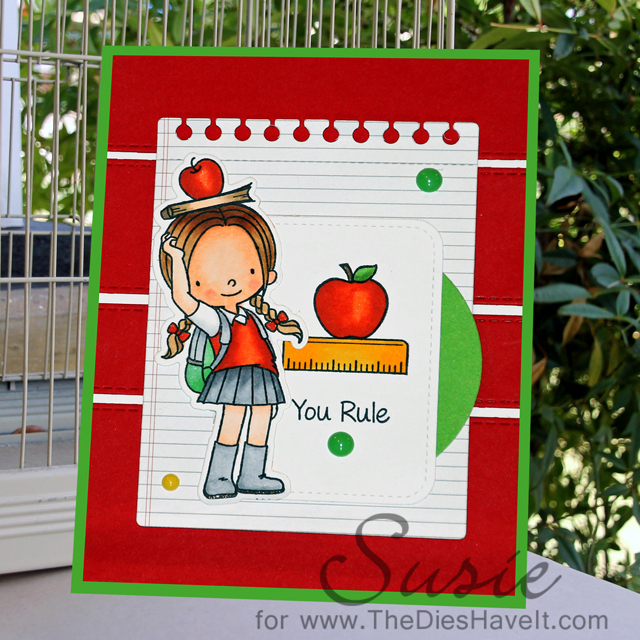 I fell in love with this cute little girl and all of the coordinating stamps in the set. Then of course there are matching dies! AWESOME! I colored the images with Copic markers and then die cut the pieces to make my card. I think this is a super fun card and I hope you like it too.